Do you have a Pelikan nib that has a small, strange inscription that your other nibs are lacking? Have you ever wondered what this mark could indicate? 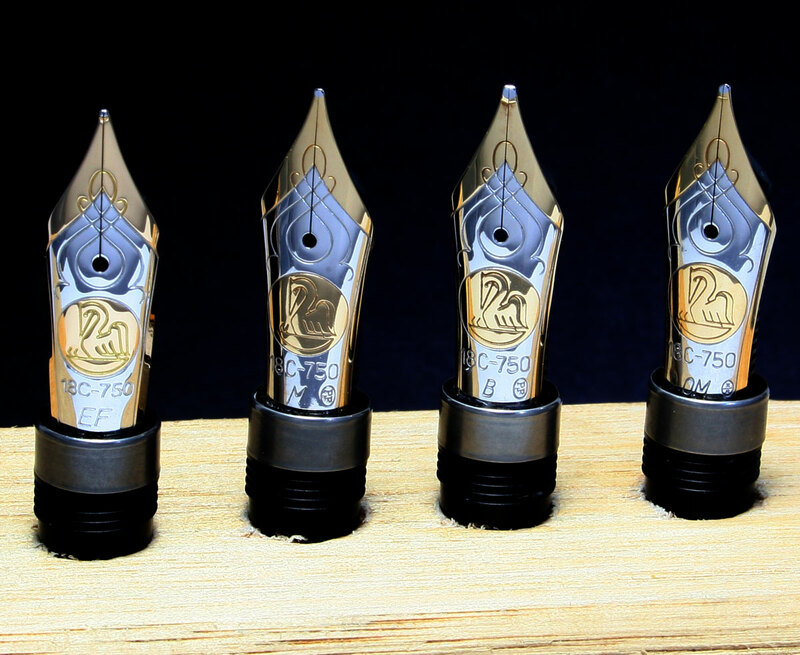 Throughout the years, there has been a lot of discussion over a few of the hallmarks that have graced some of Pelikan’s nibs. 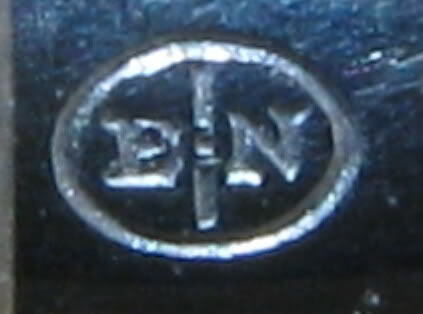 These hallmarks can be found in a few different places on a nib, the most common being on the right, just above the collar (M800’s) but there have also been examples reported with the hallmark being covered by the collar (some M600’s). These markings are usually encircled by an oval and the two most common are “PF” and “E|N.” The latter has also been identified as P|N or B|N, likely owing to varying degrees of quality of the impression as well as the microscopic size of the imprint, requiring high magnification to see clearly. While absolute and definitive evidence may be lacking, I do feel that there is a reasonable and well sourced explanation that adequately explains the genesis of these nib markings. First, let us look at the lore of these nibs. They are often sought after due to their desirable properties. This actually has nothing to do with the hallmark and, more likely, is the result of the nib’s age. 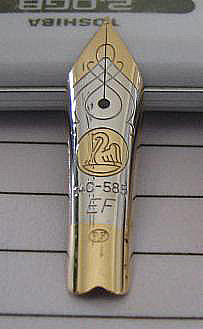 These older production (likely first generation) nibs, hallmarked or not, are well-regarded in general for their semi-flex properties and overall character, making them superior in the eyes of many when compared with today’s modern nails. 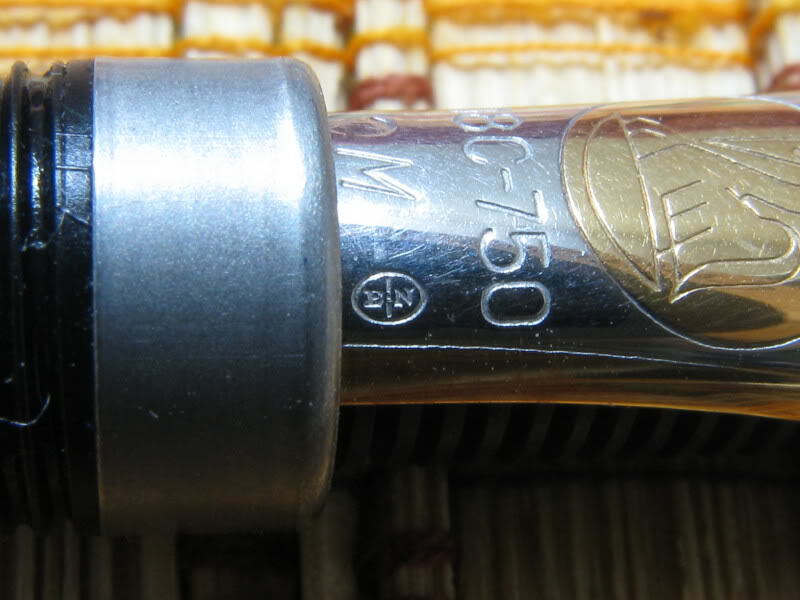 The nibs that are hallmarked are likely produced no later than the early 1990’s. Next, we should explore what appears to be the widely spread mis-information surrounding these hallmarks. It has been put forth that PF actually stands for Pelikan Fabrik, an indication that the nib was made in-house by Pelikan rather than being outsourced to Bock as has been the company’s practice in the past. While this sounds like a compelling and logical explanation, there is no evidence to back this up. In the absence of such evidence, it is just supposition. So what stands as the most reasonable and accurate explanation? That would likely be what has been put forth by Rick Propas, proprietor of The PENguin. In 2009, he traveled to Pelikan’s factory in Germany and posed this very question to Christian Ehlers, Pelikan’s manager of production at that time. The answer, plainly stated, has to do with the customs regulations of various pre-European Union countries. PF is a Swiss customs stamp while E|N seems to be a French customs stamp. Once regulations changed regarding import items, these special imprints were no longer necessary. His explanation is also consistent with information provided by Pelikan to those who have made similar inquiries. For all of the confusion and misinformation, the actual explanation turns out to be rather pedestrian. They mystery is not completely solved though as it is still unclear what the letters may actually mean, what markets required them, and over what date ranges they were employed. Also complicating matters is the fact that the E|N hallmark has occasionally been found on 18K script nibs from the 1950’s, which is somewhat incongruous with the timeline presented above. With that, I’ll conclude my explanation of the PF and E|N nibs but the story is still far from over. Surrounded in controversy and confusion over the years, it would seem that Rick Propas has settled the mystery of what the hallmarks are from a very direct and informed source. I highly doubt that any other explanation is likely and would therefore consider it as definitive in the absence of compelling evidence otherwise. Many questions still linger though which may never be answered but I welcome any comments or discussion that you may have. UPDATE: It has been suggested to me that the E|N nibs came before the PF nibs, sometime in the late 80’s to early 90’s with the PF nibs following in the mid to late 1990’s. I have no way of independently verifying that claim but wanted to put it out there for your consideration. Very interesting article and very well written. I had noticed the PF and EN markings and thought it to be a factory designation of some sort but did not know what. Mystery solved. This makes me wonder if Pelikan Inc. is alone in these customs marks – why aren’t other pen manufacturers that sell their goods in Europe required to do the same. I have never seen these marks on other pens nor have I heard of them. I agree that I have not heard of these marks on other pens produced for the European market in the 1980’s and 90’s either. I think that these customs stamps are makers marks or responsibility marks. The “P” likely stands for Pelikan while the second letter is the special designation required by that country. I have seen this same idea put forth by two sources from Pelikan and therefore have no reason to think otherwise. I’m not sure why this wouldn’t be the case with other manufacturers though. After thinking about it for a minute it could be that putting these letters, marks was optional. Otherwise it’s unusual. Re: the postulated timeline, my M750’s nib from c1988 is marked EN, and a later pre-2005 M800 has a PF nib. 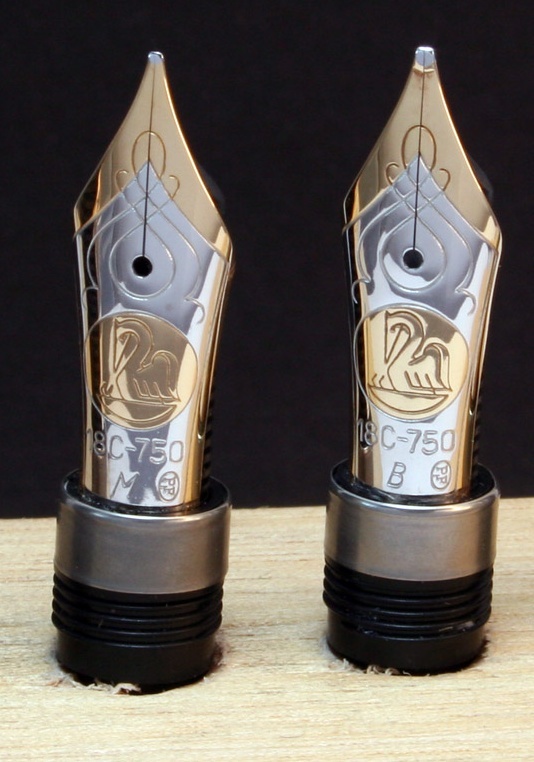 Interestingly, my 2 M1000s with OBB and OM nibs that I thought c2012 have PF nibs too. Always good to have more data points. The OBB nibs were discontinued around 2013 if I recall correctly. I’d suspect that your M1000 nibs are earlier than 2012.